Advent is the time of expectant waiting and preparation for Christmas, the birth of Jesus. It’s also the time where most children are so excited and can hardly wait until Christmas is there. 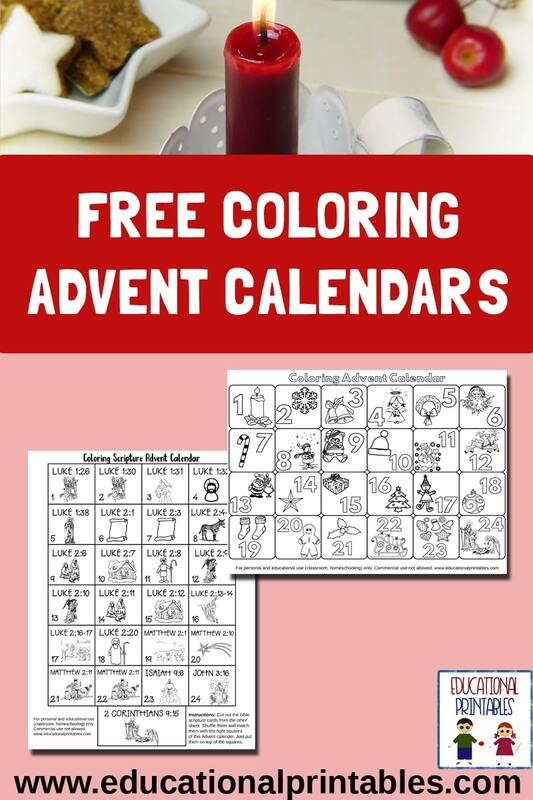 Then these Free Advent Coloring Calendars will be perfect to help count down the days until Christmas. If you are looking for an alternative to common Advent calendars or if your children love coloring, then these two free coloring Advent calendars will come in handy.